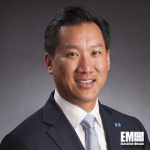 Jeff Pon, the White House’s nominee for the director post at the Office of Personnel Management, has said he plans to prioritize the recruitment of information technology experts once confirmed to help build up OPM’s cybersecurity posture and response to cyber threats, Federal News Radio reported Wednesday. “This is my number one priority to make sure that we have security, not only information security but personal security, making sure that we have a safe workplace,” Pon said during his Senate nomination hearing. “It is unacceptable to me to have people who are not trained in the current ways in which we protect our data,” he added. Pon said he intends to expedite the federal recruitment process and streamline processes across the agency. 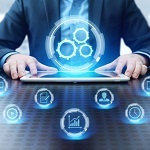 “It’s actually making sure that we execute on putting things together and simplifying things and making sure that the transactional data, not just paper, but transactional data that you need, can actually be transacted in an efficient and effective manner,” he said. He also answered questions from Senate Homeland Security and Governmental Affairs Committee members about OPM’s role in the Office of Management and Budget’s government reorganization initiative and the upper chamber’s request for documents related to OPM’s Affordable Care Act ruling in 2013.